Usually, people get attracted to websites that look good. But, it is equally important to have a user experience (UX) design so that it gets easier for the people to navigate through the site. The audience should feel that they are seeing their tastes and preferences while interacting with your website. In short, ensure that the site you create is according to the likes and tastes of your audience. It should be appealing, easy to navigate and be beneficial for the visitors to succeed. According to an article published in Uxmag.com, 88% of online consumers are less likely to return to a site after a bad experience. So, if you are planning to start a business, make sure that you have user UX design for the growth of your company. 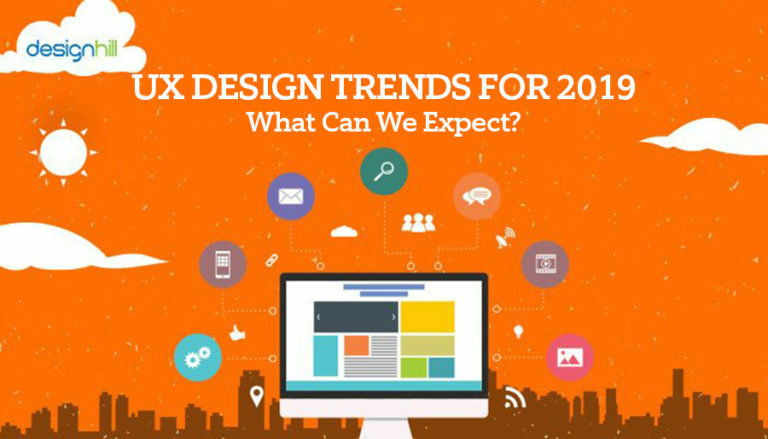 Wondering what would be the latest trends in UX design? Having this feature on your website gives you an edge over your competitors. Designers use parallax scrolling for making their website more appealing to their audience. It is interesting how parallax scrolling works. Each time a person scrolls up or down his mouse, there will be something new for them to know and see. It is brilliant for the businesses to get involved in storytelling. It is an era of “going mobile.” Everyone has a smartphone these days. From recharging phone to booking movie tickets, everything is done through mobiles. Therefore, you need to create designs for mobile devices such smartphones, tablets, etc. Make sure that you make your mobile site first and then add as many features as you want to your desktop version. According to Truconversion.com, over 1.2 billion people use mobile devices to access the web and no one screen size has more than 20% of the market share. Videos are the best way to engage your online audience. In fact, according to Business2community.com, 93% marketers use video for online marketing. So, a large number of businesses are already using video ads as prominent tools to boost visibility on social media channels. If you are a smart marketer, you will not forget to use social media platforms for videos. Creating interactive prototypes for validating user experience has become an essential part of every businesses’ marketing strategy. An interactive prototype helps designers to create the final designs with little or no efforts. The prototype lets you know where a user might face some issue. Companies such as Marvelapp, Invisionapp and Flinto make interactive prototypes in a short span of time. Choosing the right fonts for your website plays a major role in gaining popularity amongst your target audience. An appropriate font size of the text message gives a professional touch to the website. You can have bold typography for a more powerful impact. An article published in Designschool reveals that typography often provides that at-a- glance first impression that people judge the rest of the design by — so your font choices need to be purposeful and appropriate. You might have come across instances where restaurants ask the people to participate in a contest by giving some feedback on their services. You can use this trick for your e-commerce store as well. Try to know your customers what they think about your product or service? Don’t forget — Customer feedback is gold – it’s precious and valuable! An article published in Helpscout states that for every customer who bothers to complain, 26 other customers remain silent. You can get feedback from your users through surveys, asking them directly, feedback boxes and by tracking the user activity on your site and social media. Micro-interactions means creating single moments of communication that help users navigate through your design or assist them to know about the task. It could be as simple as having a wi-fi button or animations. Some of the micro interactions include vibration notification when you switch an iPhone to mute or interface animation that either shows clickability (a card that changes color when hovered over) or confirms an action (an icon that changes after clicking). So, here are our 7 UX Design Trends for 2019. We are sure that this post will help you design a website that creates a better and memorable experience for your users.